Beer House Molto does have a good range of beers but unless you’re a member of their program or are looking for a place to to get some incredible views of Osaka whilst drinking some slightly pricey beer, then it’s hard to recommend it over places in Osaka. The prices include tax and there is a smattering of English across the menus but not much, so make sure you have someone with you that can read Japanese. Beer House Molto is non-smoking and also offers up a beer flight but it isn’t up to you which beers you get. Not quite the view of Osaka I hoped for. Beer House Molto, not to be confused with Beer Stand Molto, is the elder of the two bars with the former opening in July 2012 (another bar’s anniversary we just missed) and Beer Stand Molto having opened a few months later in April 2013. While I didn’t get the chance to visit Beer Stand Molto, Beer House Molto did come highly recommended from a few other drinkers in the area due to the window seats looking over Osaka, and Kansai further afield. However, with my typical luck, it was raining on the day I visited Beer House Molto and was subjected to grey skies and rain – great(!). Beer House Molto is located on the 31st of the Gran Building near Osaka station – a fair old ride up which makes your ears pop as you get to the top – which makes it the highest building we’ve drunk craft beer in (mountains don’t count!). However, everyone else seemed to have the same idea on the Saturday night I first tried to get in – something romantic perhaps? so Sunday it was. The whole bar is non-smoking, in fact I didn’t spot any smoking places in the building but then I wasn’t really looking for them. There is space for about 30 people inside, with 10 seats dotted against the windows and another 6 or so tables for those who don’t like heights. There wasn’t a table charge when we went either. Doesn’t help describe the beers much either. The beer list at Beer House Molto is broken down into some basic styles and the more popular ones, such as weizens and IPAs, having their own entry. I guess they were too lazy to separate out “ale style” or “black style” into anything else I guess? The beers come in three different sizes: small (240ml) from ¥630, medium (400ml) from ¥1,000, and large (650ml) at ¥1,480, with beers listed as “premium” costing an extra ¥100 on top of those prices. Beer House Molto also offer up a membership program, which costs ¥300 to enter, that reduces the prices of the beers by around ¥100 or so – not a bad idea if you plan on coming back again or plan on drinking four or more medium sized beers. There is also a beer flight on offer at Beer House Molto, with three 140ml beers for ¥1,280; however, the downside besides it being expensive for what you get, is that you do not get to chose the beers at all. I wasn’t feeling too hungry at Beer House Molto – still feeling slightly delicate after the previous night’s escapades; but the food is based around Italian and vegetables – so expect more dish-based ideas, rather than finger foods; however, they do offer up chips – so I was happy. 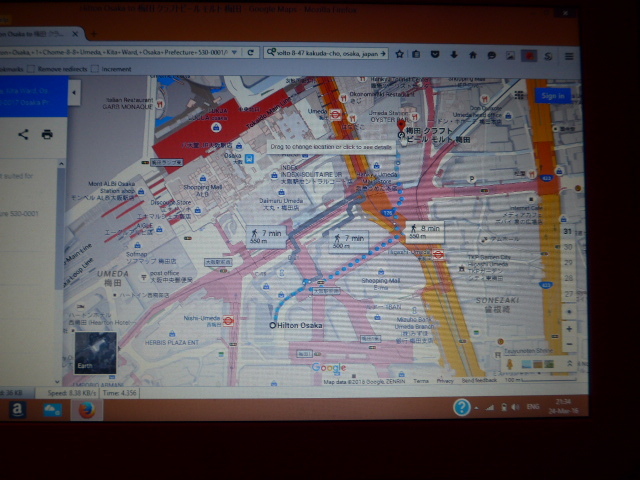 The closest station to Beer House Molto is Umeda on the Osaka City Subway. It’s about a three minute walk, with 30 seconds of that being a very quick elevator ride up. You got here as well? I was here as well back in March 2016. 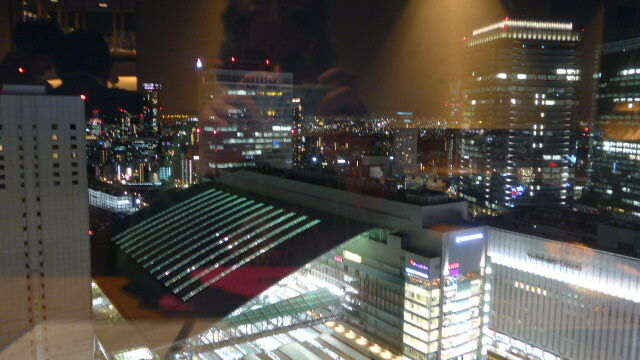 It was the evening of “Welcome Drinks” for FlyerTalk’s Japan Do #4 at the Osaka Hilton. It was pleasant chatting with other Flyertalkers, but when the high point of the drinks I had during this was a 354 mL bottle of Asahi Dry Black, I needed to go somewhere better afterward. That other place became Beer House Molto. Obviously, it was later in the night. Did I like the venue? Well, it was OK. It did the task for which I set it out. I would not have figured a German website would lose a picture of a glass of beer in between the time I uploaded it and referred it into my previous reply.